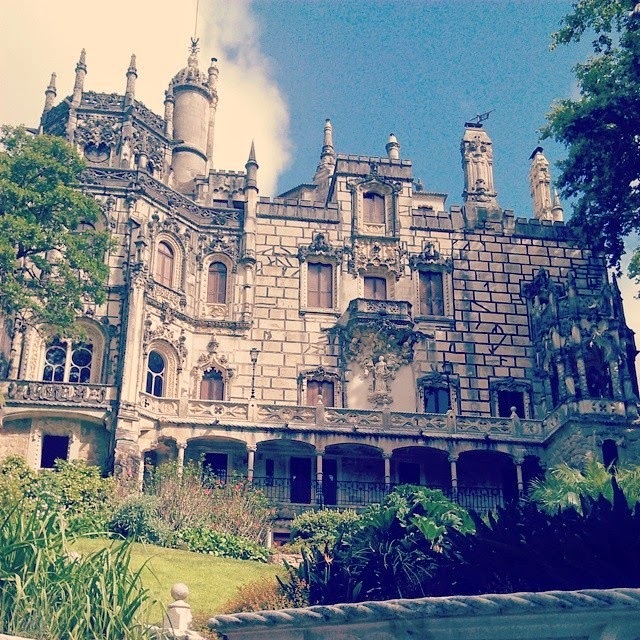 The Quinta da Regaleira is one of the most popular tourist choices in Sintra and my personal favourite tourist attraction in the whole country. Considering that we still have a whole month in Portugal this is saying a LOT! 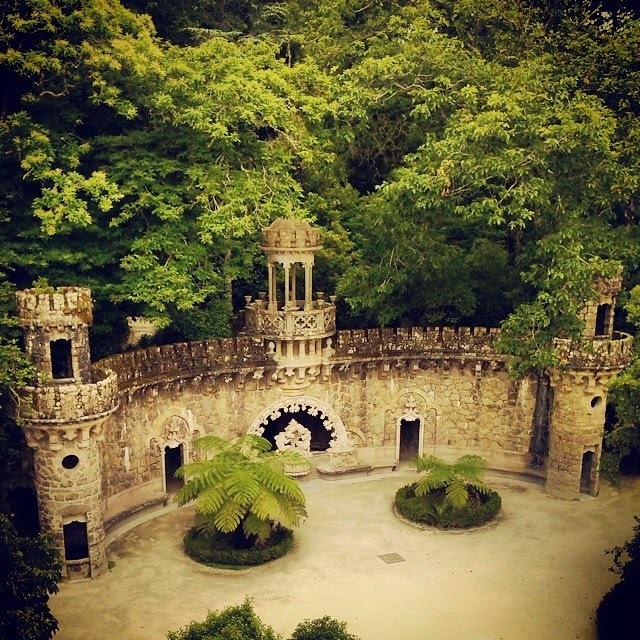 If you have time to visit only one thing in Sintra, make sure that you make it this amazing place. Beware of the photo overload! The four-hectar-land changed hands many times over the years and they all added something to it. It finally ended up with Carvalho Monteiro who took it up on him to shape it to his imagination. 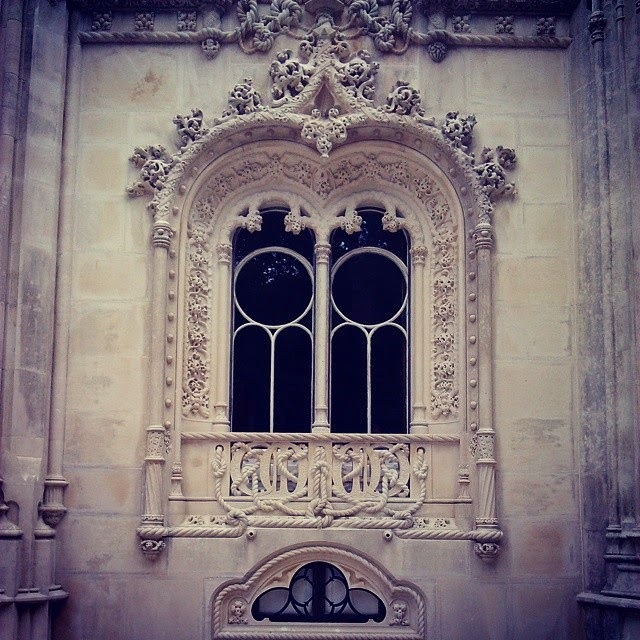 He asked the help of an Italian architect, Luigi Manini, who dedicated fourteen years of its life to turn the whole area a magical fairy tale full of Roman, Gothic, Renaissance and (my personal favourite) Manueline styles and symbols connected to Masonry, alchemy and the Knights Templar. I know it sounds pretty eclectic but he knew what he was doing. Together with your ticket you get a very useful map of the Palace and the Garden. Guard it with your life, it's extremely useful if you don't want to miss out on any of the hidden magic! I have never seen anything quite this impressive in such a small place. 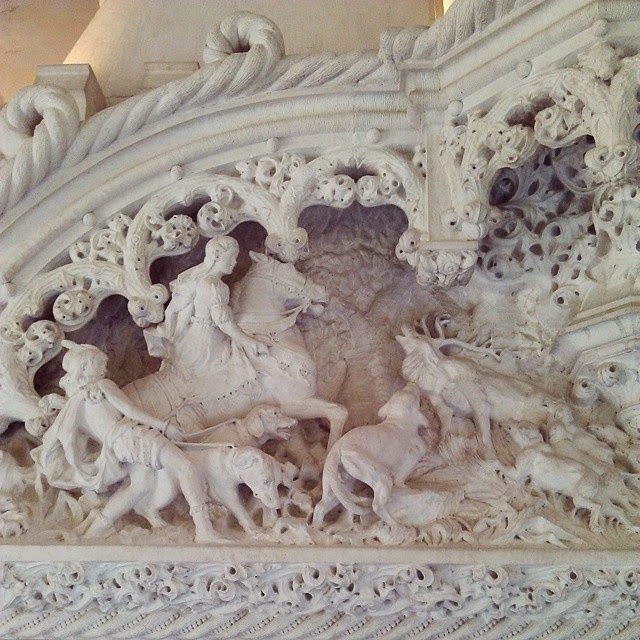 On every square meter of its five levels there is something to marvel on. The Palace from the outside. Every room holds something special. There are so much work involved in every little detail that one would think it must have taken years to build one room. 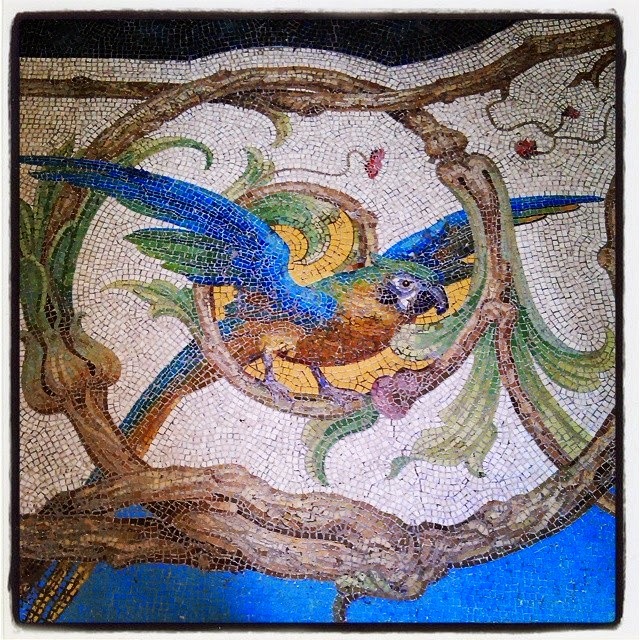 One of my favourite rooms, the Hunting room which is dominated by a lavishly decorated fireplace and a gorgeous mosaic floor. On top of the palace’s octagonal tower. After the Palace head over to explore the Park. It feels like a playground for adults, there are so many things to discover here. Luckily together with the tickets you get a map of the area as well so you can make sure that you don’t miss out on anything. It is full of towers, underground tunnels, lakes and statues, it’s hard to decide where to start! I think his is the single coolest and most awesome architectural piece in the whole country. It’s a subterranean inverted tower. Is it hard to get your head around this? Have a look at the photos. You can reach it through the connecting underground tunnels on bottom and on mid-level and walk around the spiral staircase to get to the top. The Waterfall Lake with the the stepping stones. The underground tunnels that are lined with fairy lights. 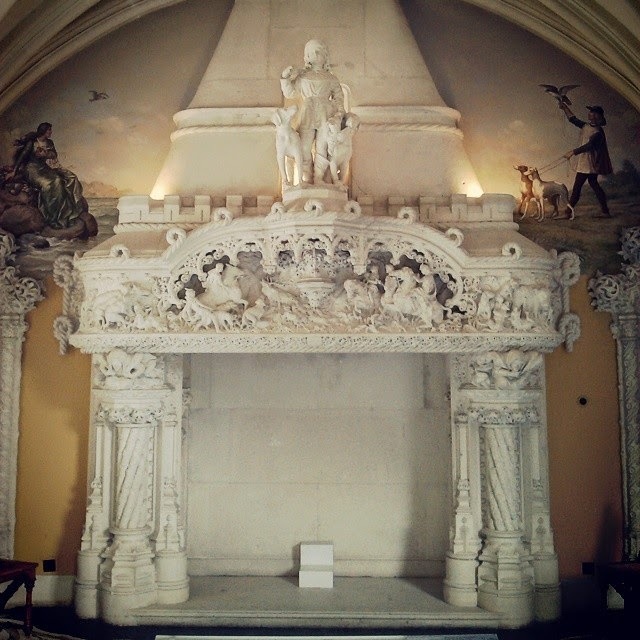 The small but beautiful chapel. 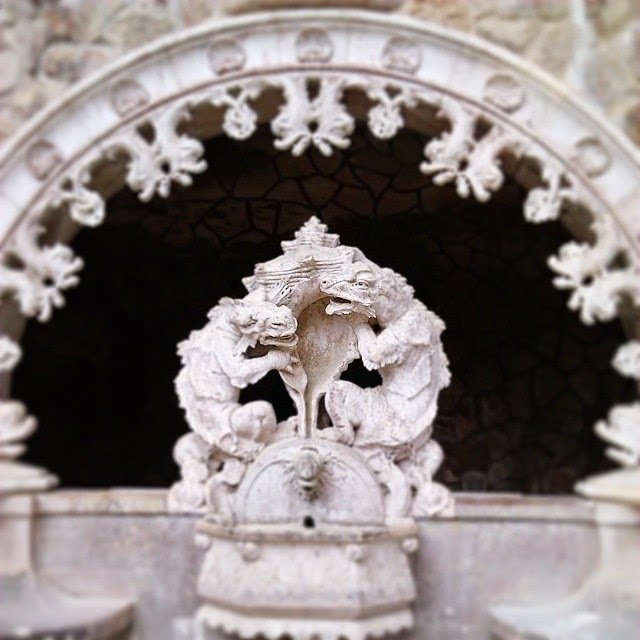 Some other details of the garden. If you get tired from all the walking, there's a cafe with a lovely view to rest your feet and feast your eyes on the Palace. 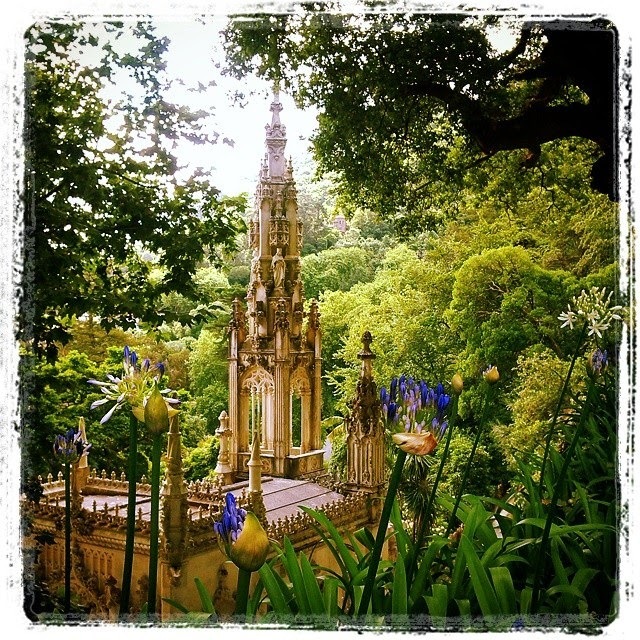 The Quinta da Regaleira is open from 10am till 6pm. If I remember well the entry fee was 8 euros however in my opinion it's worth paying a bit more and go on a guided tour. For more information check out the official website.